It’s happened to many of us in the real estate business. The “engineering” or house inspection prior to a contract signing can kill the sale of a house. I remember the very first time I heard the complaint of a realtor whose engineering resulted in a failed septic system and the bank refused to give a mortgage. “With a failed septic, it’s considered a non-functioning house!” my colleague told me. It was quite an expensive ordeal to get the house into functioning order and to move the transaction along. A bad engineering report can either be a negotiating point or can put the kibosh on the purchase of the house, but in the best case scenario, buyers are assured that they are getting their money’s worth and that hopefully there will be no surprises once the deal is done. 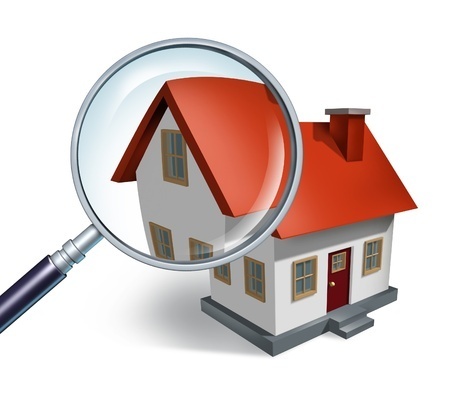 The inspector’s job, under the standards of the American Society of Home Inspectors (ASHI) is to inspect all readily accessible systems. Inspection includes the foundation and under floor crawl space, the floor structure, walls, ceilings and roof structure. On the exterior, the inspection is conducted on all exterior wall covering and flashing, all exterior doors, attached decks, balconies, stoops, steps, porches and their associate railings. Also included are the eves, soffits, and fascias. Property inspection also includes vegetation grading, surface drainage and retaining walls when any of these are likely to adversely affect the building, as well as walkways, patios and driveways leading to dwelling entrances. Systems included in the inspection are: plumbing, vent systems, flues, chimneys, fuel storage and fuel distribution systems, drainage pumps, sump pumps and related piping. Also included are the electrical system, heating, air conditioning systems, insulation and ventilation. The “biggie” concerns among homebuyers are the “famous five” which are active termite damage, mold, septic, well water and radon. Because most consumers know the least about radon, and because there are such divergent opinions about it, that particular aspect of home inspection warrants further exploration. If you research radon on the internet, the information from the U.S. Environmental Protection Agency (EPA) can scare the heck out of you. It cautions that every year, radon is estimated to cause about 21,000 lung cancer deaths in the United States among citizens who don’t smoke. Further, the agency estimates that one out of 15 homes in the United States (as many as 1 of 3 homes in some states) have high radon levels. However, some critics say that the statistics given by the USEPA are a vast exaggeration. One local home inspector with whom I researched the subject some time ago, who chose to remain anonymous, said that he had serious misgivings about those dire statistics. He explained to me that when he went online to the Center of Disease Control and checked out their statistics on lung cancer and radon, he felt that its statistics suffered from some serious omissions. He said that almost everything the CDC had to say about lung cancer addressed the issue of smoking, stressing that smoking causes most of the preventable deaths. “The stuff I read made it seem that smoking accounted for 86 to 90 percent of the deaths and radon was accountable for the rest, by default,” he said. “Frankly, I wonder if most people would not be better off spending their money on something else, because I don’t think it is as cut and dried as the USEPA makes it sound,” he continued. The engineer’s understanding was that only 10 to 15 percent of the houses in the country have substantially elevated levels of radon and that even in those houses it would take many years of exposure to develop a serious risk of lung cancer. The first time I heard the term radon, it was when I bought a country home in 1990, and at that time, I had no idea what it was. But I found that the relatively new home had a high level of it on the lower, partly below-grade level and I decided to have a system installed to mitigate it. When I called the New York State Department of Health, I was told that when a house is sold, the seller must disclose to the buyer if he or she is aware of elevated levels of radon in the structure, but neither the seller nor the buyer is required to install a mitigation system. Whatever side of the controversy one may be on, most real estate agents suggest to their buyers that they consider including a radon test in the home inspection. While it is only recommended, I always say, better safe than sorry. Maybe it’s because I’m old enough to remember when asbestos was considered the top choice for insulation.